Daniel Dye and the Miller Road Band visit WYSO to chat with Niki Dakota during this installment of Excursions. Daniel Dye and Andrew, Carrie, and Thomas Miller makeup this excellent group that brings classic Bluegrass style wherever it goes. One unique aspect of this group is that they are family (Daniel being the uncle to the Miller siblings). Dye and the Millers began playing together at family reunions for fun, but soon realized they had stumbled upon a sound that is heartwarming and soulful (and too good to only showcase at the occasional family reunion). 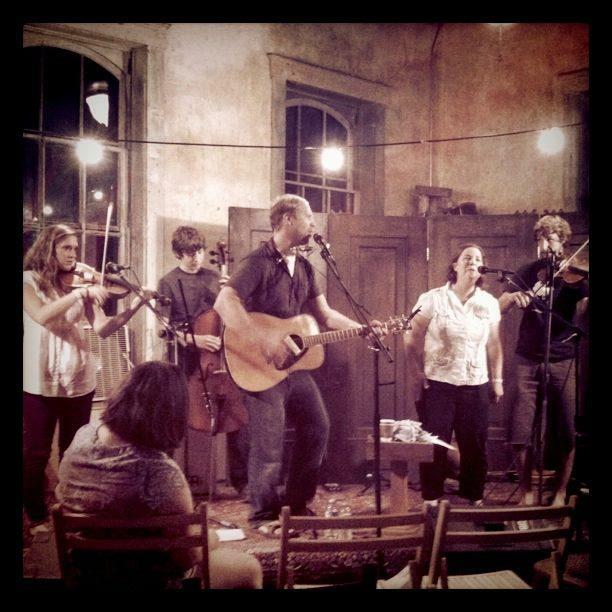 Dye leads the group as the main vocalist and guitarist, but the Miller siblings add violin, cello, and backup vocals to create a rich Bluegrass sound. In addition to the rich sound, Dye’s group also tells powerful short stories through simply beautiful lyrics. In their discussion with Niki, Dye and the Millers discuss how they got their start at family gatherings and farmer’s markets and how family is so important in their lives. Performances include “The Devil’s Drink” and “Lullaby” on WYSO.